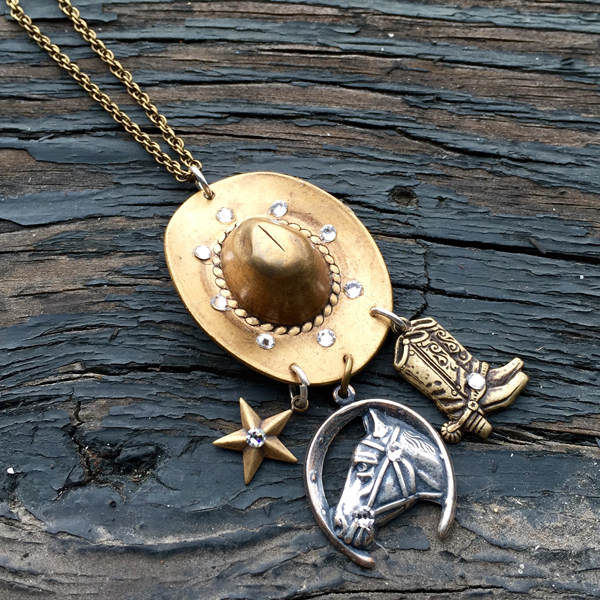 Featuring a western hat, horseshoe, horse, star, and boots, this 18 inch mixed metal necklace has it all. Embellished with real Swarovski crystal. Chain is available in Antique Brass or Antique Silver.